Creating your dream home can be an exciting process that allows you explore and rediscover the potential of your existing space. One the most underrated areas of the home that can easily add value and enhance your comfort are basements. Packed full of potential, an unfinished basement provides plenty of opportunities to customize your space. 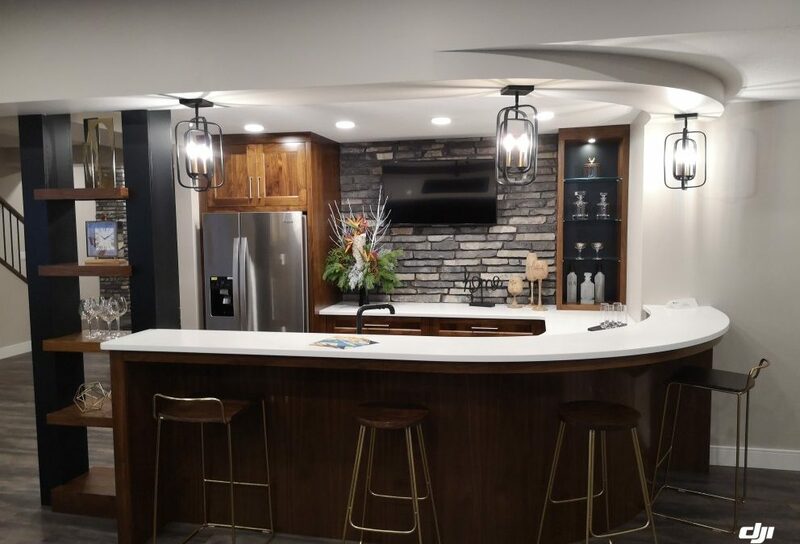 Below are a few popular options for basement renovations, as well as a few tips to keep in mind if you’re considering finishing this wonderful area of the home! Looking to break a sweat without the hassle of commuting to the gym? Make committing to fitness simple by creating a state-of-the-art workout space, right in the comfort of your own home! Are you a cinema buff? Bring the movies home with your very own theater, complete with screen projector and comfy seats. If family fun and entertaining are a priority, the basement is the perfect space to create an area dedicated to games. 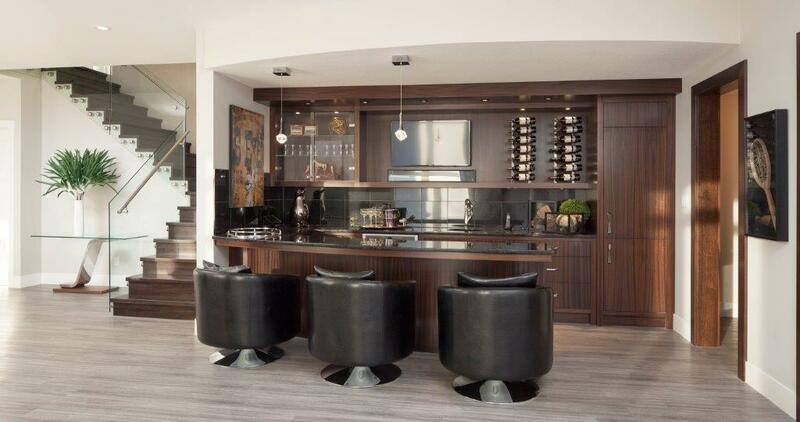 Add in a wet bar for a touch of luxury and convenience and you’ll be sure to wow friends and family. 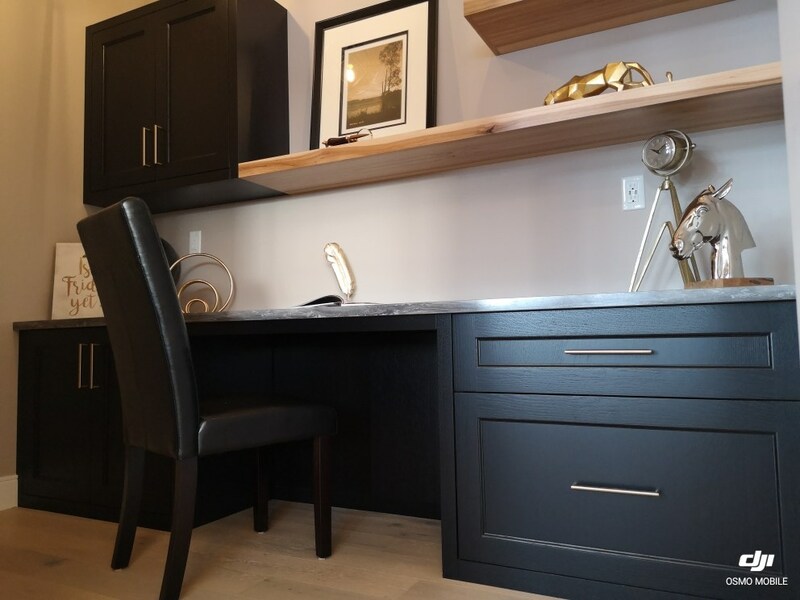 Transform your empty space into the ultimate home office with a functional design and plenty of room to be your own boss! Regardless of your style, age of your home, and budget, Abbey Platinum Master Built is here to help you design the house of your dreams. Contact us today to learn more!